The Republican nomination may well hinge upon the New Hampshire primary. Gingrich has opened large leads in three of the first four states, and now trails Romney by just nine points in New Hampshire. If Gingrich can win there, he will probably sweep to victory in South Carolina and Florida, opening the contests with four straight wins and building a perception of inevitability that Romney can’t overcome. 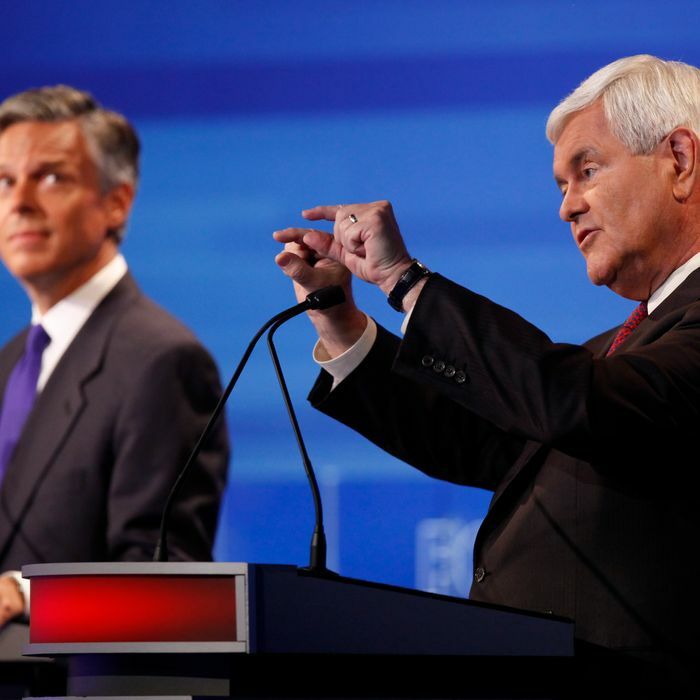 And there’s one hidden factor that just might help Gingrich win New Hampshire: Jon Huntsman. Huntsman is putting all his chips in New Hampshire. His PAC, funded by his wealthy father, is pouring money into ads in the state, lifting him up into double digits. He’s also put together the campaign’s most brutal assaults on Romney. Check out this takedown. Can Huntsman win the state? I highly doubt it. He can hurt Romney, though. As a moderate (and a Mormon) he outflanks Romney on the left, competing for votes among the party’s shrunken centrist wing, and preventing Romney from moving further right to fend off Gingrich. It wouldn’t take much for Huntsman to deliver a death blow to Romney’s campaign in the Granite State. Is it possible that, if Romney collapses, Huntsman could arise as the moderate-Establishment alternative to Gingrich? Anything is possible, but I doubt it. I don’t even think that’s what Huntsman is trying for. As I’ve written before, I think he’s trying to position himself to win the nomination four years later. So why, after diagnosing the party as too extreme to nominate him, is Huntsman running anyway? I suspect he’s setting himself up for 2016. If the GOP loses the election, then conceivably the party will come to believe Huntsman’s diagnosis that it’s too extreme and has demographically marginalized itself. If so, Huntsman would be well positioned to lead. But for that plan to work, a couple of things need to happen. First, Huntsman needs a credible showing this time around. Republicans usually nominate candidates who have run before and built up name-recognition and a core of loyalists. Again, I have no inside knowledge of Huntsman’s plans. What I’m describing strikes me as the one rational explanation for an otherwise hopeless campaign. 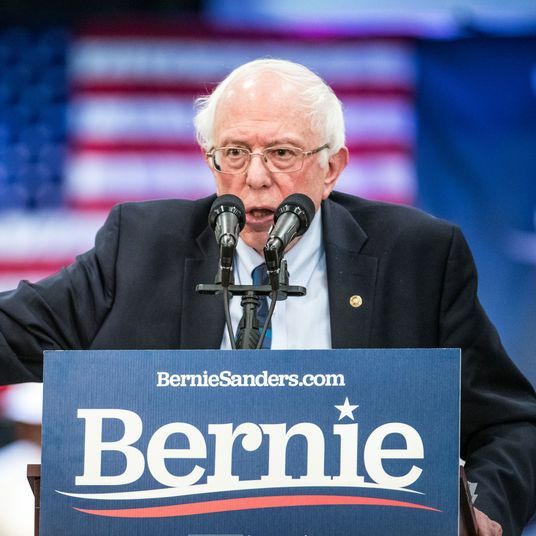 It would perfectly explain the focus of his campaign – aiming his guns at Romney and betting it all on the one state where he can do the most damage to him. If Gingrich slips past Romney in New Hampshire, he may have Huntsman to thank. And if President Obama gets to face Gingrich, he may, too.